Yeovil Town have signed striker Ryan Bird on a two-year contract after the striker left Cambridge United at the end of last season. 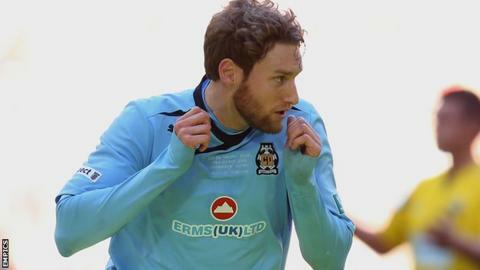 The 27-year-old, who stands at 6ft 4ins, scored six goals in 37 appearances for the U's last season. Bird started his professional career at the age of 25 with Portsmouth in 2013. "The lads are great, the manager is switched on and I'm looking forward to the challenge," Bird told BBC Somerset. "It's a big club, they were Championship a few years ago." Bird began last season at Portsmouth before joining Cambridge and scored six goals in 28 appearances. But he is now looking forward to the opening day of the new League Two season when Yeovil travel to Exeter. "We are a couple of weeks away from the opening day, but we are all buzzing for it," he added. Manager Paul Sturrock told the club website: "We are pleased with the signing and I hope Ryan pushes himself to be a starter in the team."